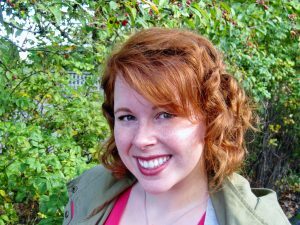 Meet Deanne Beier, a MA student in Socio-Cultural Anthropology. After receiving her BA from Kwantlen Polytechnic University, she came to UBC to explore issues surrounding First Nations studies and environmental sustainability, as well as to use the resources available to continue her research on her own Aboriginal heritage. 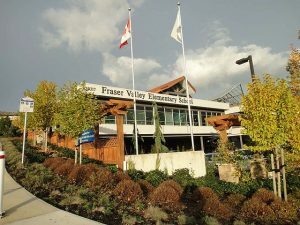 I was born and raised in the beautiful Fraser Valley of British Columbia, Canada. I grew up on a conservation and breeding farm, for endangered animals, located on the outskirts of Fort Langley. 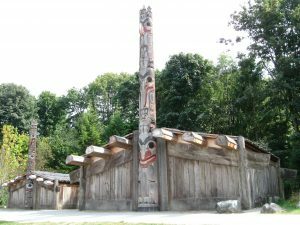 Fort Langley Elementary was the school I attended and thankfully there was a deep integration into the curriculum from the neighbouring Kwantlen Nation culture and traditions. I would have to say that I was rather lucky to have such amazing opportunities while growing up and developing my character. My undergraduate degree came from Kwantlen Polytechnic University. I originally intended to major in psychology, until I decided to take an anthropology course with Professor Sam Migliore, and the rest is history. I always knew that I wanted to spend my life helping to protect and advocate for cultures and the environment. Anthropology seemed to incorporate all of my desires, interests and passions into something that was attainable and useful to others. I spent my undergraduate degree talking to professors in the anthropology department and really listening to what their experiences were. I took the advice they would give me very seriously; they were in the position I was hoping to be in one day, thus, who better to learn from? I became increasingly interested in First Nation studies, as I am of Aboriginal decent, and due to systemic and systematic violence and erasure of First Nation cultures from the collective history of Canada, I currently spend every spare moment I have attempting to trace back my heritage and find my Nation. As well as First Nation studies, I also spent a lot of time during my undergraduate learning about environmental sustainability and protection. I worked to actively teach others about how this planet and its’ creatures are actually doing, lifting the veils of misinformation off of the people around me. I chose Anthropology as a career because I wanted to make a difference in the things that matter to me. I wanted to be an advocate for people who wanted another voice spreading the word about injustice and the need for aid. I was tired of sitting back and doing nothing while the people of this world suffered, along with the planet. Even if what I did was incredibly small and I only helped a few people or animals, I knew that I would find Anthropology satisfying as a career choice. Other than the passion that drives me, I also found the material, ideas, and subject matter incredibly fascinating. I think what initially pulled me in was the thirst for more knowledge about the world around me. To me, Anthropology is more than the study of humans, it is the study of the vast variety of interlocking relationships between humans, creatures and the planet that catalogues, teaches, and affects change for the future. To be honest, UBC was the only university I applied to; I was determined to come here! 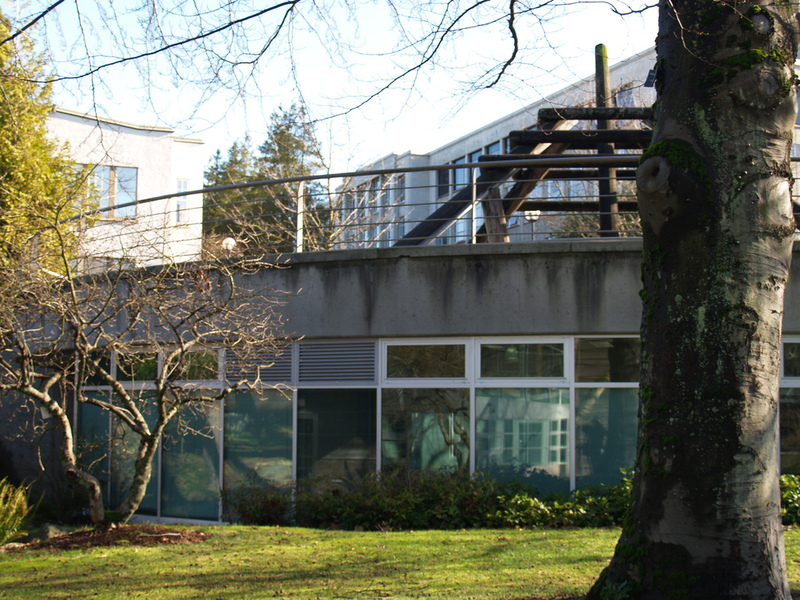 I decided that UBC was the school for me for a variety of reasons, including the Anthropology Department community involvement, The Museum of Anthropology, and the considerable presence of First Nation teachings. I researched UBC and the Department of Anthropology at length before I decided to apply, and I was pleased with the passion the professors seemed to portray with regards to their research. I was excited about the possibility to work with and learn from the plethora of resources that UBC has available. With regards to the museum, I thought it would be an incredible resource for my studies, as they have a large collection of oral histories and teachings, as well as cultural objects. When I read that UBC also had a long house on the campus, as well as a First Nations library, I was sold. Learning about my heritage has been prominent factor in my life, and to learn that I could have these resources at my fingertips was important to both me and my family. My research interests are extremely broad, yet also specific at the same time. In theory, I am passionate and interested in almost everything to do with Anthropology. I enjoy researching culture, environment, archaeology, gender, military, and many other amazing topics within Anthropology. Specifically, as I have stated already, I am most passionate about Aboriginal studies, specifically in Canada, and environmental studies. I would like to aid in the protection and preservation of culture and the environment in any way that I can. With regards to the environment, I am interested in the relationship between people and their environments, including all of the factors that contribute to that relationship: social, political, cultural or economic. What do you enjoy and find challenging as a UBC Anthropology graduate student? What I enjoy about UBC are the simple and the greater. By simple, I mean the beautiful campus, the tall trees, ocean views, totem poles and the small creatures that scamper about. By greater, I mean the vast amount of resources, libraries (plural! ), events, and talks… plus, it doesn’t hurt to have two Starbucks on campus. Luckily, the challenging things are about equal to the things that I enjoy. The simple challenging things are parking, long distances between the Department of Anthropology and the rest of campus, and the Anthropology building (its like a maze, and even though the vending machine says it takes credit cards, it doesn’t!) The greater challenges have been getting to know the campus well, dealing with protests or student public opinions that could be upsetting, getting all of the right cards to use the printers around campus, and realizing just how intense the Anthropology program is. All that said, it is definitely worth it. I am currently a teaching assistant (TA) for the Department of Anthropology. Occasionally, I also TA for Kwantlen Polytechnic University. Whenever the opportunity arises, I will help out with events or seminars – even if it is just setting up chairs. The most valuable thing that I have learned at UBC so far is that even though I am visibly white with bright red hair, I am still accepted as being Aboriginal. This is something that I have struggled with for as long as I can remember, and having my peers and the faculty at UBC accept me as Aboriginal was both emotional and beautiful. I learned to be proud of who I am and not to hide due to fear over people not accepting me. That is a lesson that I hope everyone learns. I also learned to purposefully take breaks. With the demanding work schedule, it is easy to always have something that needs to get done. Another valuable thing I learned was that not everyone is going to agree with you – maybe the professor doesn’t, maybe no one does, and that is okay. I am proud of the work I have done as a teaching assistant; it is incredibly rewarding and equally challenging. One of the best feelings ever is having students laugh at my lame attempts to make jokes, and having them tell me that they learned something. I am pleased with my progress on my thesis and I feel that what I am researching has importance; I believe all of the graduate students feel the same way. It is essential to know this in order to passionately pursue your research. What advice would you give to a person interested in pursuing graduate studies in Anthropology? DO IT! I’m not going to lie, it is hard work. Some days you may want to quit, but stick in there and you will find that you are capable of more than you think. In the end its worth it. You will learn a lot about yourself and a lot about how you want to present your true self to others. I would recommend taking a day to walk around campus in order to locate where things are; always carry a map with you. Talk to the professors and take a genuine interest in what others are doing in Anthropology. Like others have said before, and this is exceptionally crucial, make sure you are passionate, incredibly interested, and excited about your research topic. As the PhD students have said, you may end up continuing the research into your PhD and you may spend years on one topic. One last bit of advice: learn to be humble. I know that may seem like an odd thing to suggest, but in Anthropology and anything you decide to do in the future, you are going into the research as a babe. No matter how many books you have read or how much you think you know about a culture, tradition or peoples, you know barely the tip of the iceberg; take that knowledge into the field with you and you will be successful.